Whole30 Archives - Page 11 of 12 - Oh Snap! Let's Eat! When i was little, I thought it was strange that many of my friends growing up didn’t like eating cabbage. 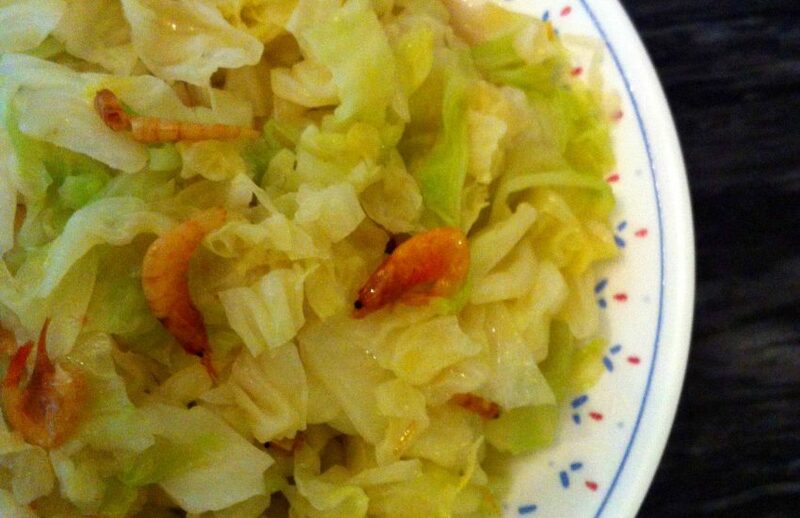 My mom has always stir fried it with dried shrimp (蝦米) giving it a crunchy and tasty flavor, and I loved it! Maybe it was because not many people made it in this manner! So let me share this healthy (the dried shrimp has some great health benefits as I’ll explain later) and paleo (also gluten free) side recipe with you! Look at it. It’s probably the sexiest salad you’ve ever seen. What’s the best part? 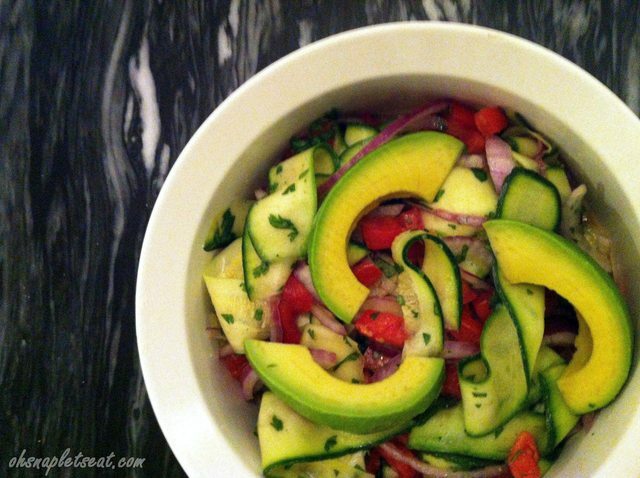 This healthy and paleo Zucchini Ribbon Salad is also one tasty salad! The zucchini ribbons are crunchy and the citrus dressing makes this a very refreshing salad! Make it for your self, or impress your buddies with it! 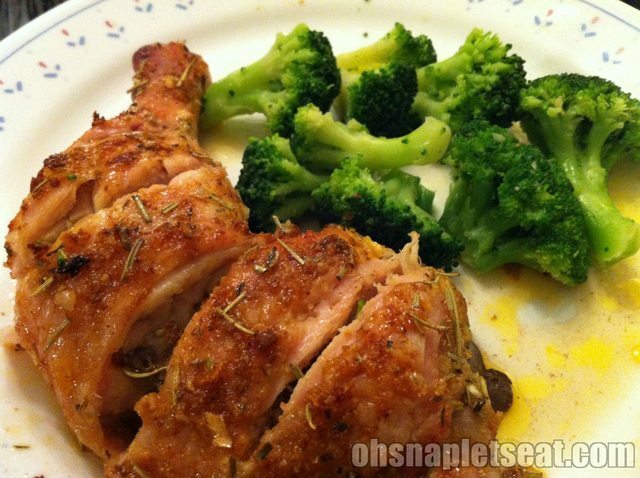 Can you have fried chicken if you are eating gluten free or paleo? Some will say you can’t, but you can! 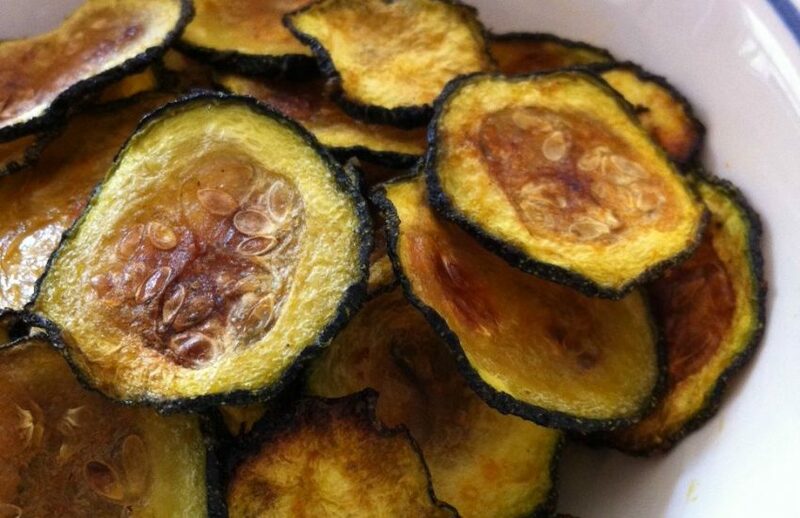 You can do this with almond flour or almond meal! 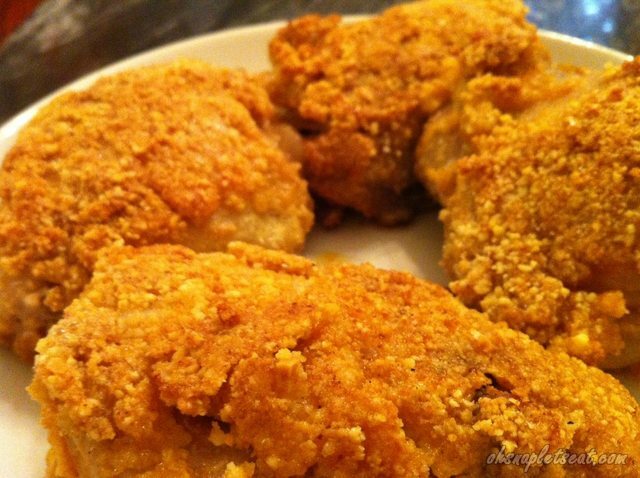 This Paleo Fried Chicken recipe is delicious and actually quite easy to make. Coconut Chicken Curry is not only a super flavorful dish, but it’s also easy to make and healthy for you! I have my mom to thank for this one! 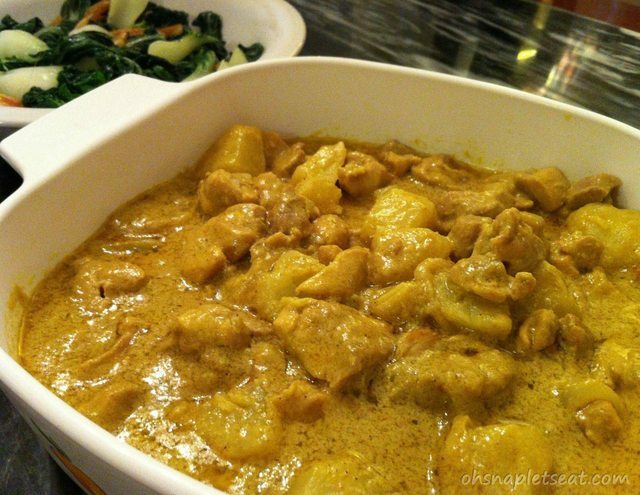 I learned this delicious recipe from her :) Warning though, you are going to get SO hungry cooking this because the coconut milk smells amazing! The Best Mexican Chicken Soup! All right, I’ve gotten requests for this one! So, here it is. 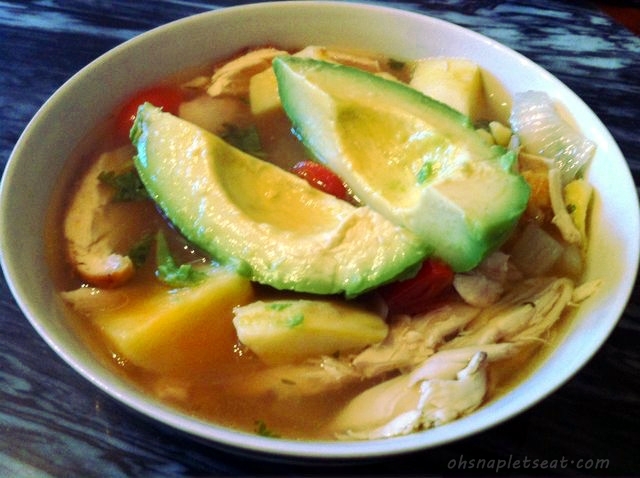 The most delicious Mexican Chicken Soup! 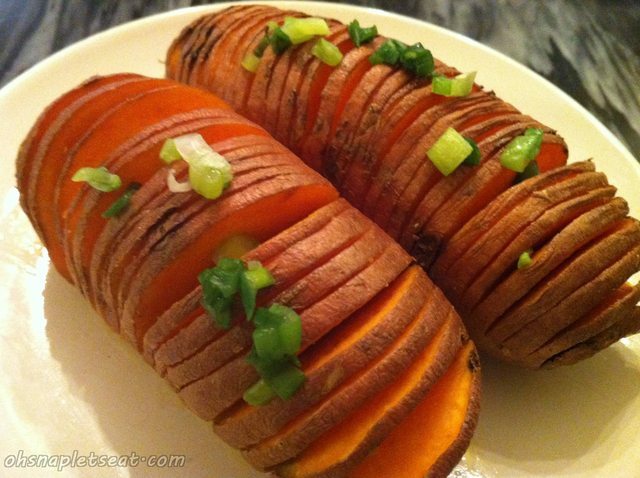 I originally stumbled upon a recipe for this from Paleo Diet Lifestyle. However, I’ve since made it many many times (cause it’s so good!) and tweaked it here and there and now it’s an adaptation. For example, instead of buying store bought broth and finding roasted chicken laying around – I make this by purchasing a rotisserie chicken! Chili is perfect for a lazy, chilly, rainy day, especially if you can make it in the slow cooker. It was exactly chili weather the other day so I was definitely craving it… the only issue was I didn’t have any chili powder laying around! 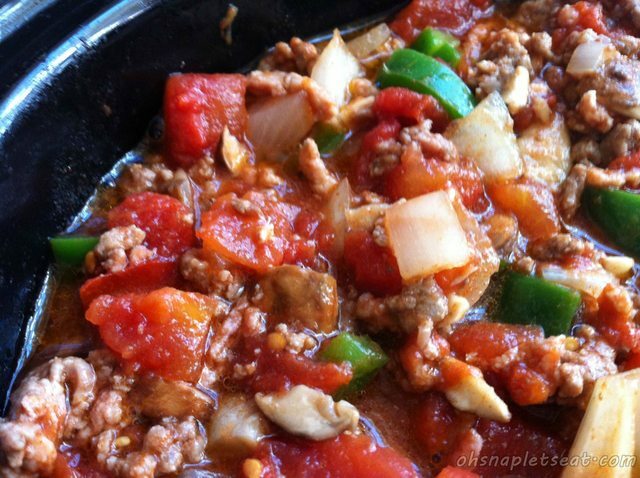 Doesn’t matter to me, because I can make paleo slow cooker chili without any chili powder! Be warned though, this crock pot recipe’s very spicy if you add the cayenne pepper and jalapeno! So, skip those if you don’t want it like that. I can not get enough of these simple, easy, and paleo breakfasts (think 2-ingredient pancakes)! 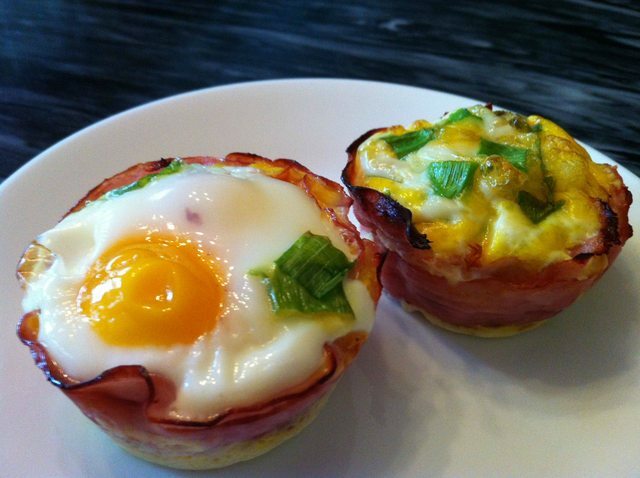 This Baked Eggs in Ham Cups recipe is perfect and you can really go as creative as you like with your ingredients. I made two different styles of it: Scrambled and Non-scrambled.